Space weather storms are caused by rapid changes in the Sun’s output. When X-rays from solar flares reach Earth, the change in the ionosphere can block high frequency radio communication, which is the primary communication path for commercial airlines. Solar X-ray and ultraviolet radiation also affect other radio frequencies such as those used for satellite communication and navigation. NOAA will use EXIS measurements to issue warnings of radio blackouts during solar flares. As the upper atmosphere responds to the ever-changing Sun, satellites feel its impact. The friction between a satellite and the atmosphere, known as satellite drag, is influenced by solar activity. Precise knowledge of the Sun’s output, such as those provided from EXIS measurements, is required to predict the positions of satellites in orbit. 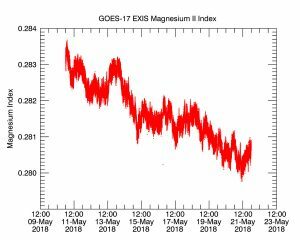 One of the improved space weather measurements made with EXIS is called the Magnesium Index. Much like the UV index that predicts sunburn risk, the Magnesium Index is a number that represents the ultraviolet variability of the Sun. 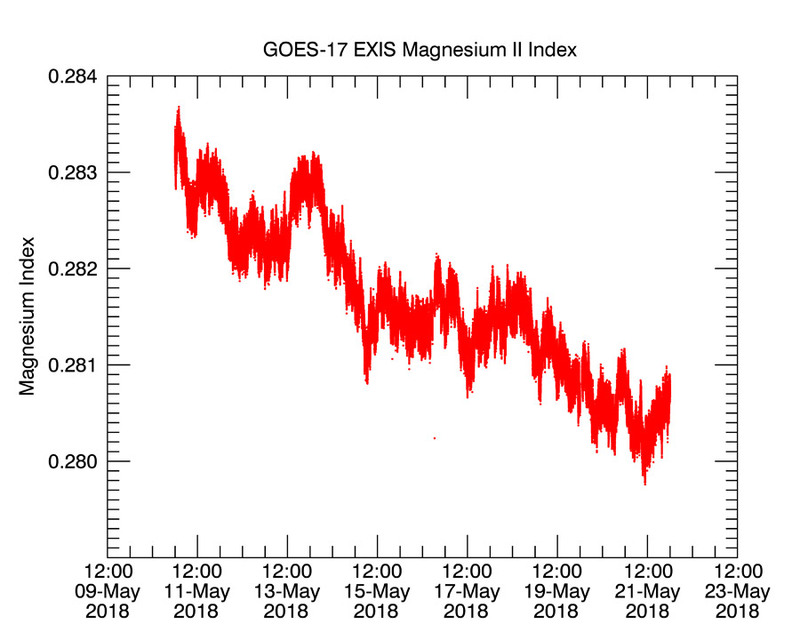 The Magnesium Index is used for monitoring long-term and day-to-day changes in solar activity and the resulting upper atmosphere changes at Earth. In the past, the index was only measured a few times per day. 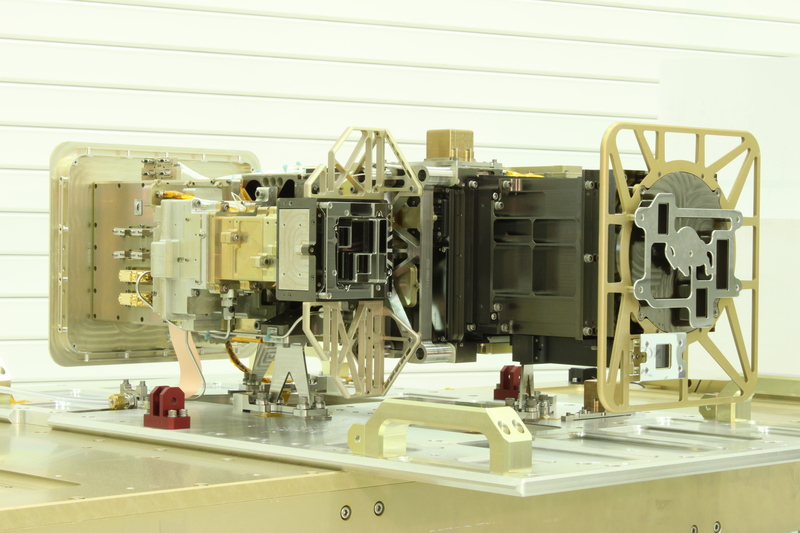 GOES-17’s EXIS makes measurements of the index every 3 seconds (i.e., 28,000 times per day!) and can now be used to monitor rapid changes in the Sun associated with solar flares. LASP provided the EXIS instruments on GOES-16 (launched in November 2016) and GOES 17 (launched March 1, 2018); Both instruments are working well.